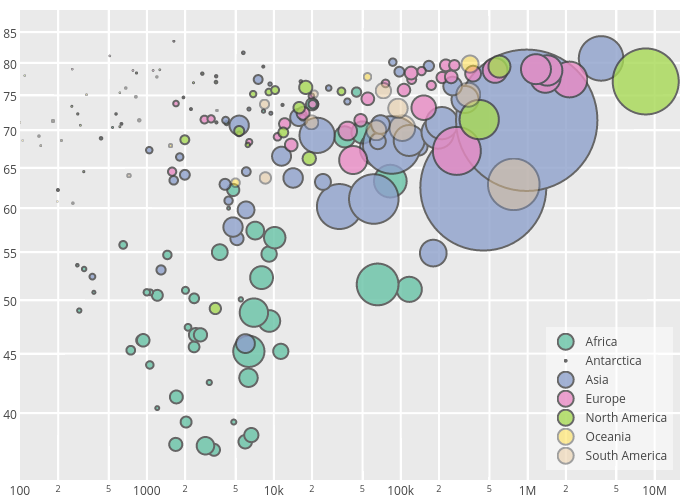 Jackp's interactive graph and data of "Africa, Antarctica, Asia, Europe, North America, Oceania, South America" is a scatter chart, showing Africa, Antarctica, Asia, Europe, North America, Oceania, South America. The x-axis shows values from 2 to 7.2. The y-axis shows values from 1.5478165456683852 to 1.942768363032069.